I really enjoy writing with my Jinhao 159 pens. 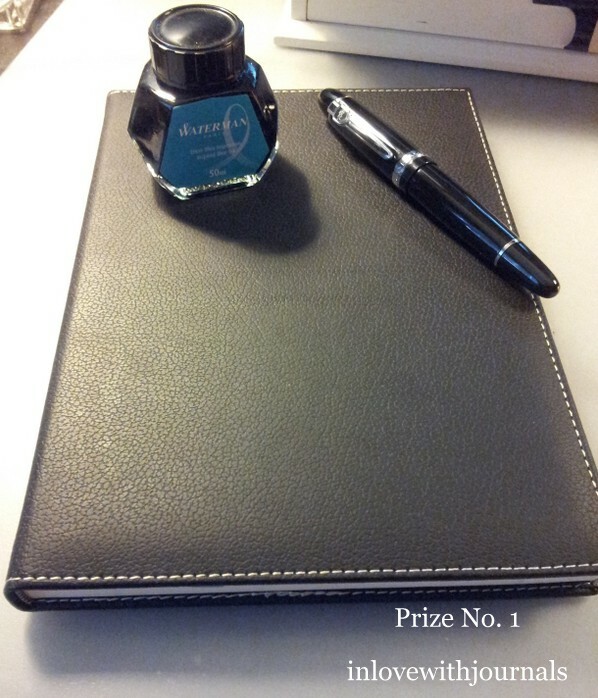 I first wrote about them in May 2015, and then it was chosen as my Pen of the Month for November 2015. 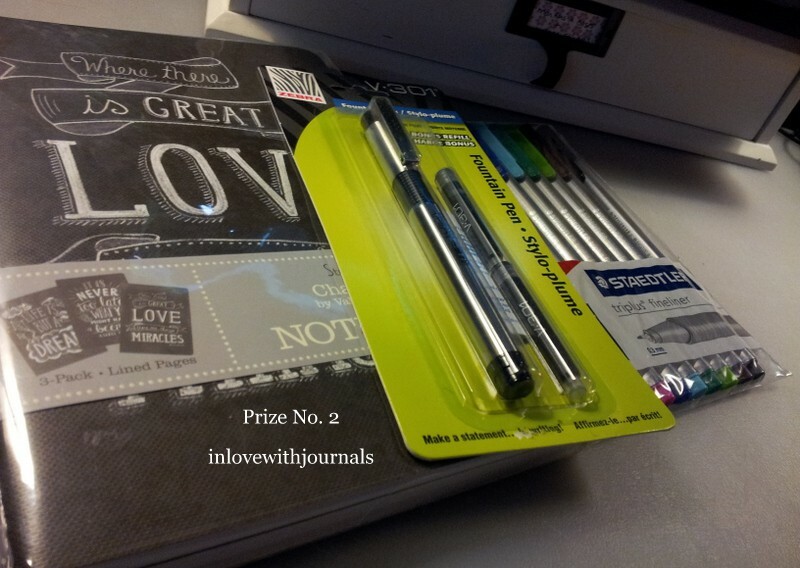 I popped it into my beloved Franklin Christoph notebook and then included it as part of the prize for my 500 Subscriber Giveaway. I have had it continuously inked since the day it arrived from China through an eBay purchase. I often use it in pen tests for new notebooks. It’s a thick pen but I love writing with it. 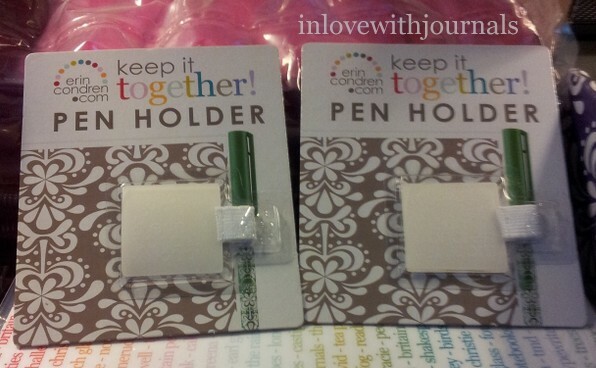 It’s inexpensive but always writes immediately, right out of the box or after a long sit in my pen case. I even bought a second one for myself as a backup! For the longest time the only place I could find them was eBay. And then Goulet Pens started carrying them. Both of mine were black. 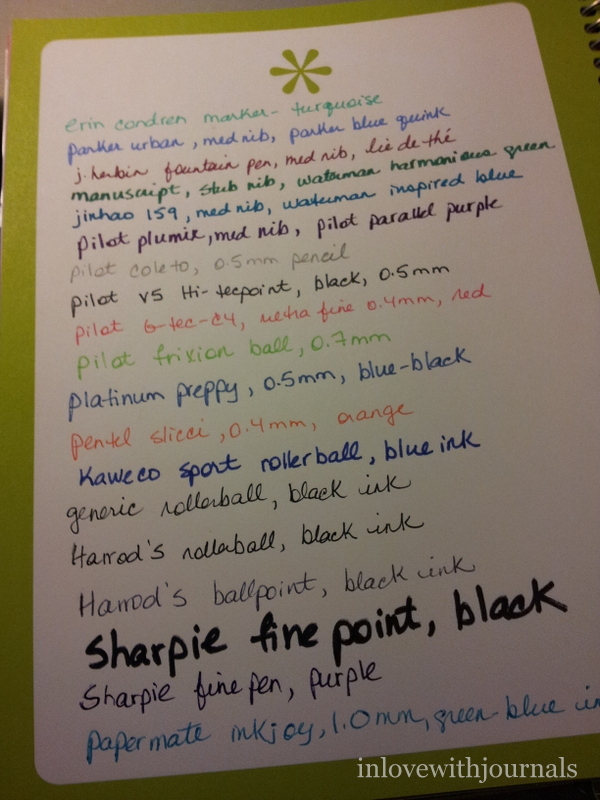 I sort of liked the other colours on the Goulet Pens website but never ordered one. I guess I thought two in basic black were enough. Well that all changed when I saw a PURPLE one on eBay!! And yes it’s just as gorgeous as it sounds. The picture is not picking up the true purplishness; it looks more pink than it actually is. But still beautiful! I keep waiting for Goulet Pens or other retailers to carry it but so far I have not seen it. If you want to purchase one let me know in the comments and I will track down the seller I bought it from. A closer look at the glorious nib. It looks like a hair is stuck to the end but it’s not; I tried removing it but just ended up with purple ink all over my fingers. I’ve read elsewhere how some folks are disappointed with the Jinhao 159s, how they have to replace the nib, or the converter they come with is crappy. I must say I’ve never had a problem. They write instantly and never skip (so far so good and I’ve been using them for over a year now). 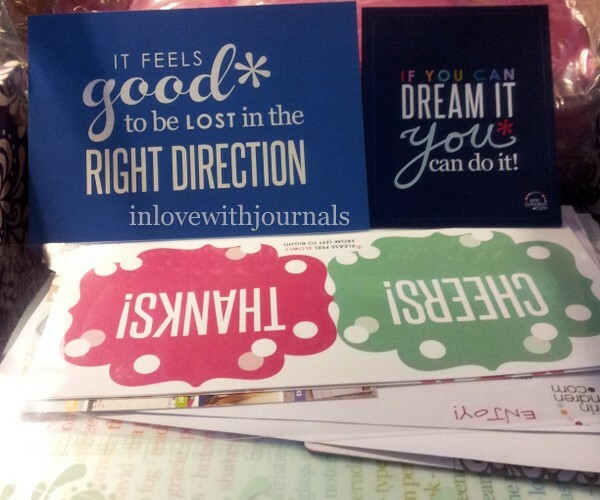 And even though I said in my May 2015 review that I wouldn’t recommend it for long writing sessions due to the weight, I guess I’ve become accustomed to it because I can write long letters and long journal entries with it, with no problems. 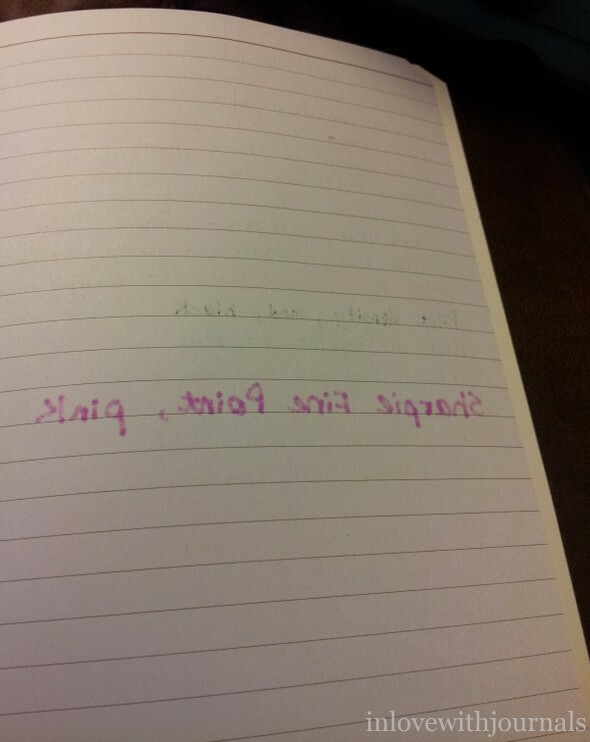 And speaking of writing, I inked it up with Waterman Tender Purple (of course) and wrote in my journal. What I’m currently using: the Paperblanks Blue Filigree journal, Winnable Executive Journal, the Seven Seas Writer, and the Franklin Christoph Notebook, which I started during my recent trip to Phoenix. My Jinhao 159 goes everywhere with me. 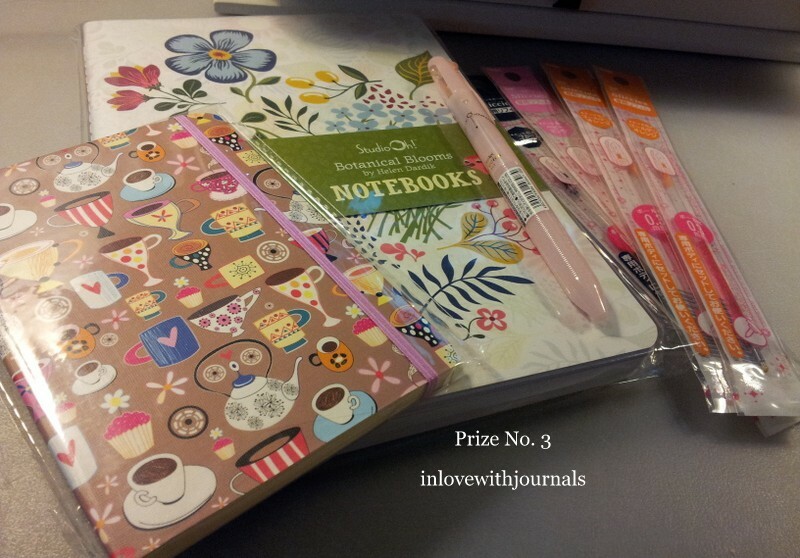 I will announce the pen for December on November 25. Purchases: I bought a few things in Phoenix but can’t decide what to review on Sunday. Check back and see! 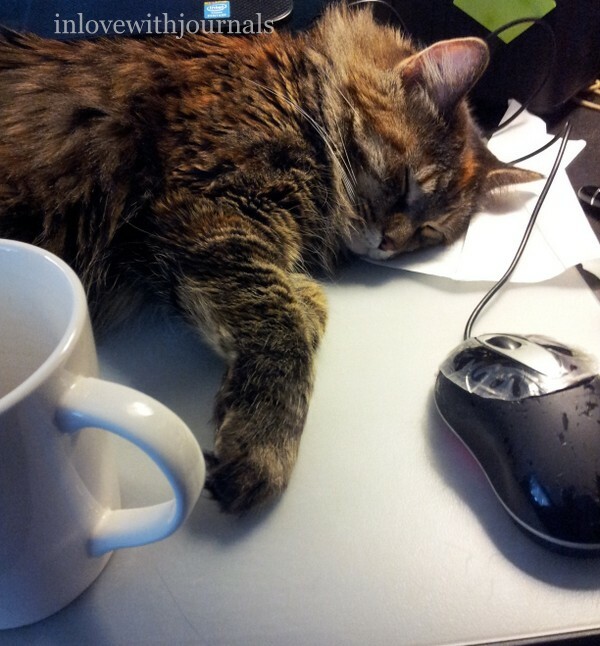 I have not been successful at NaNoWriMo this year. I know the month isn’t over but I doubt I will be able to produce anything of significance this year. But I am ok with that. Before I left for Phoenix three friends and I attended three NaNoWriMo workshops at our local library, hosted by the Calgary chapter of NaNoWriMo: Wonderful Worlds, Electric Edits, and NaNoWriMo Q&A. They were very enthusiastic individuals and I learned alot. It was great to be in the company of so many writers. If you get a chance to attend a NaNoWriMo event in your area I strongly encourage you to do so. For me the pen(s) and notebook(s) I take with me while traveling are far more important than the clothes and shoes. So I take a lot of time, even when I’m only gone for six days, to choose the gear that is the right combination of writing instrument and paper. I wrote out my packing list using my Delta and my Rembrandt, so they came with me, along with my Jinhao 159 and my Parker Urban in black. 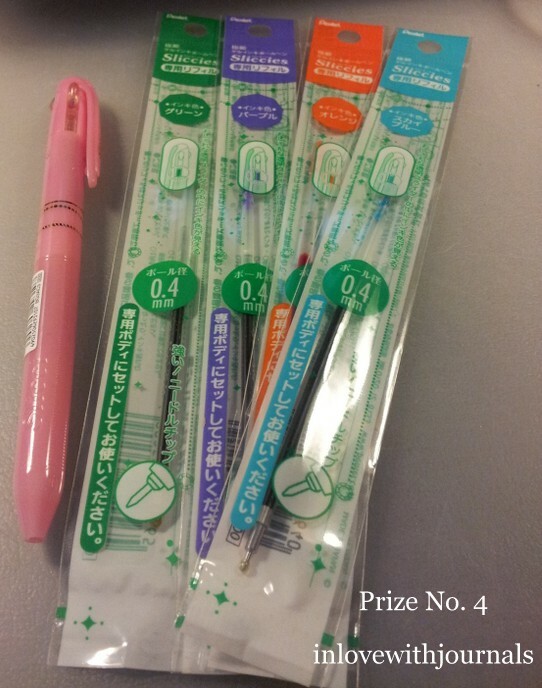 Four pens for six days – sounds about right! And I wanted to show my sister the Franklin Christoph notebook so that went into the backpack too. It was an absolute joy to sit at my sister’s kitchen table and reflect on the days. We had a fantastic time in Phoenix, eating, sleeping, reading and pen shopping! Big thanks to my big sis for making it possible. Love you. Speaking of clothes, they are really the last thing on my priority list. Seriously, I hate clothes shopping. I force myself once a year, usually. So it came as a surprise to me when I spotted a coat in this month’s Hello magazine and it inspired me. 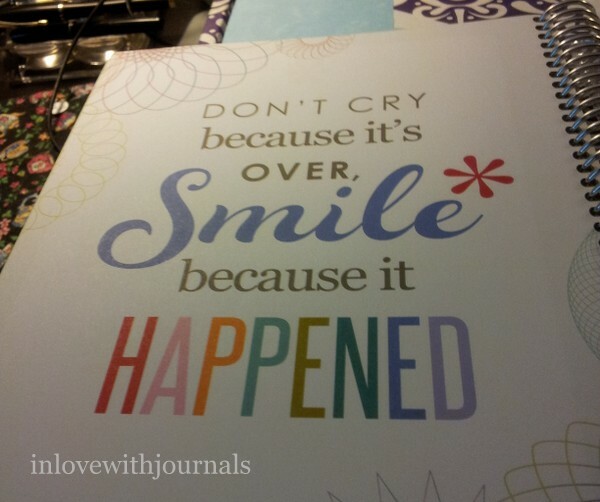 I tore out the page (it’s ok, I own the magazine) and immediately pasted the picture in my journal and wrote about it. If you’re interested it is the Houndstooth Cape from Zara.com. It doesn’t come in my size but I love it. I may have to go on the hunt for one. Every day I fall a little bit more in love with my Delta. I am *slowly* learning how to NOT post the cap. It does not post as securely as I would like so I leave it off. And I would be very upset if I damaged the resin in any way. It feels so incredibly light without the cap but I’m getting used to it. I wrote alot with it when I was in Phoenix. 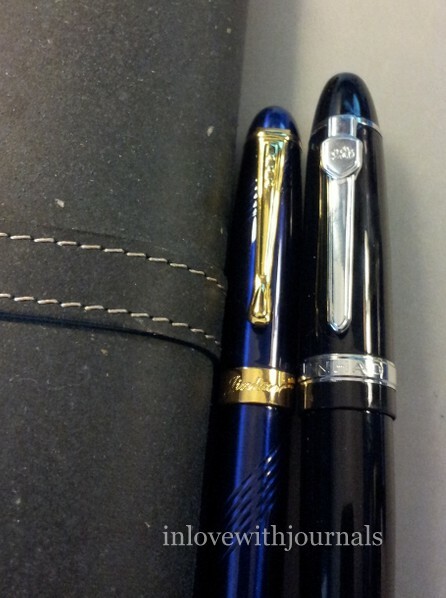 What I’m currently using: the Paperblanks Blue Filigree journal, Winnable Executive Journal, and the Seven Seas Writer. Finished the Believe In Yourself journal!! 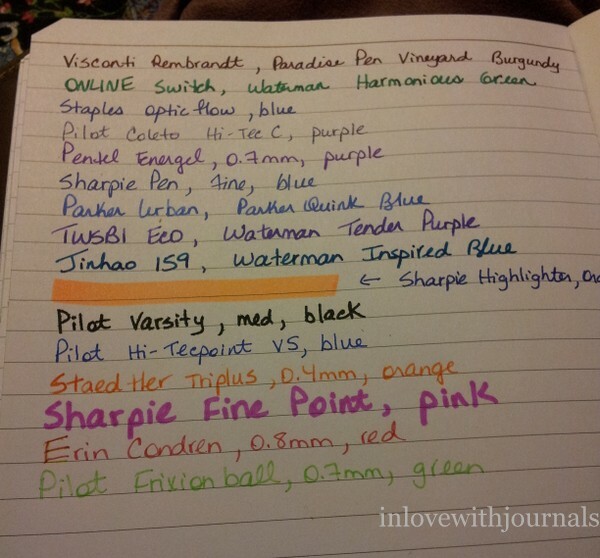 Ok so I will put my red Visconti Rembrandt away and take out my…….Jinhao 159! 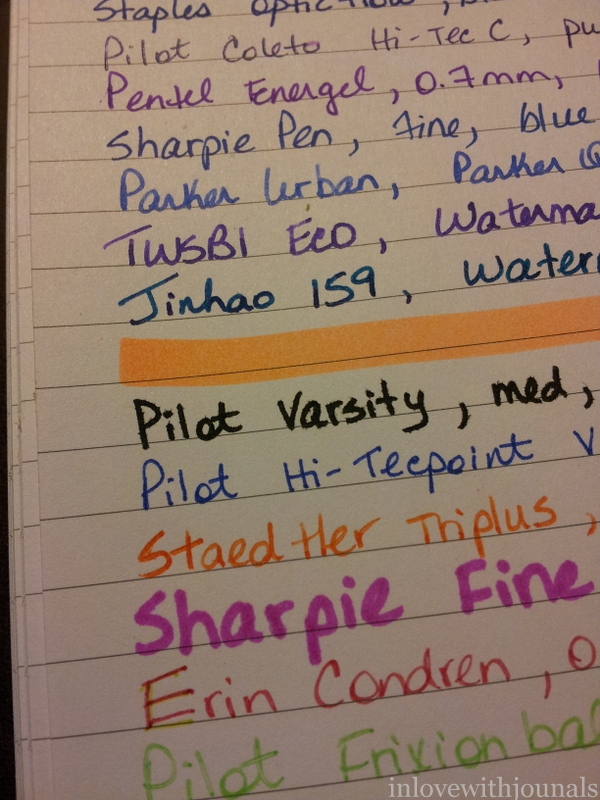 Yes my fave Jinhao is the November pen. It will probably be inked with Waterman Inspired Blue. I love that combination. Purchases: I wrote about my Nemosine Singularity this past Sunday. I’m not sure what I will write about this Sunday because there haven’t been any new purchases. I’ll think of something. My TWSBI is squeaking when I write with it. I think I just have to clean it out so that’s on the list for this weekend. Really annoying. I hadn’t plugged in my Kindle for a long time but I did this week. I got a great surprise: Library of Souls by Ransom Riggs was delivered! It is the conclusion of the Peculiar Children trilogy. Apparently I bought it months ago as a pre-order and completely forgot about it. Such a good series. Check out Miss Peregrine’s School for Peculiar Children and Hollow City, the first two books in the series. We had a sobering and shocking event happen on our street last week. There was a double homicide and the street was completely blocked by police vehicles for 5 days. Scary and incredibly sad for the community. Our prayers are with the families. People talk about “grail” pens, meaning those pens you long for and cannot afford, or perhaps are very rare and difficult to find. 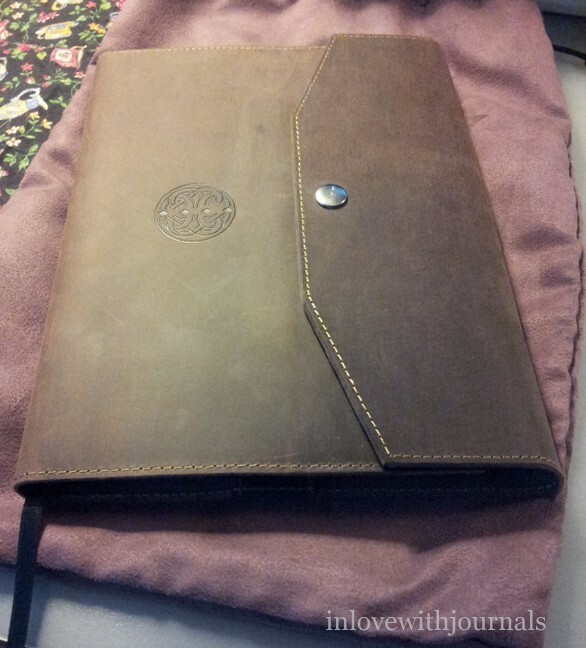 But the idea can apply to anything really, and today I am excited to share one of my “grail” notebooks, the Franklin-Christoph Firma-Flex Journal Notebook in a Saddleboot Leather Notebook Cover in A5 brown. I have been excited about Franklin-Christoph for a couple of years now. I’ve heard good things about their pens and inks, and I am in love with their Penvelopes. 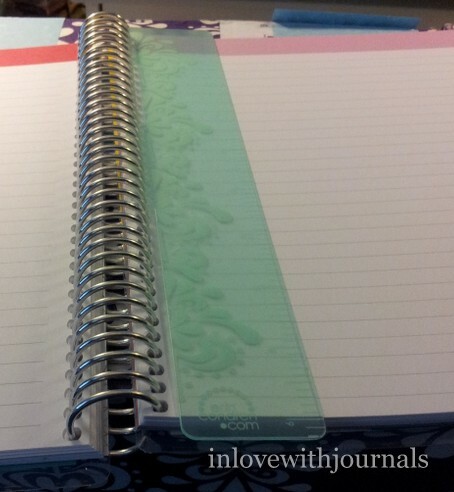 I’ve watched YouTube videos about their notebooks and read reviews of their notebook covers. I think the best thing about Franklin-Christoph is international customers can enjoy free shipping just as their domestic customers do, although at a higher price point. For US destinations free shipping kicks in at $50. For international, shipping is free at $75. 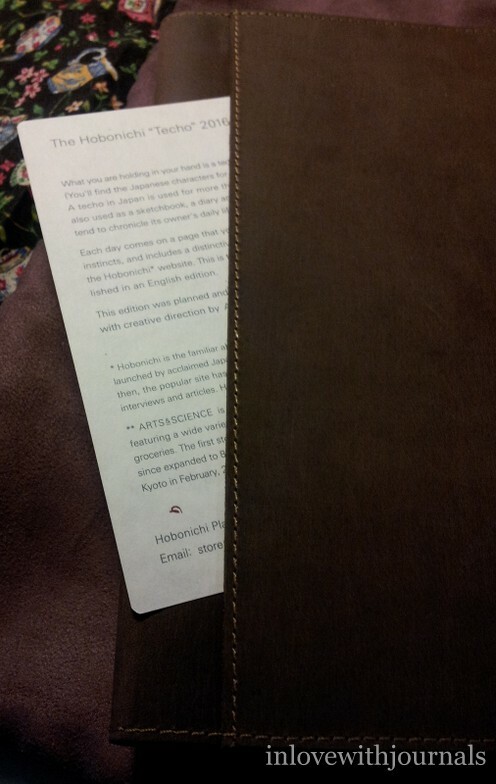 The Saddleboot Notebook Covers in A5 are $69.50 US and do not come with a notebook. 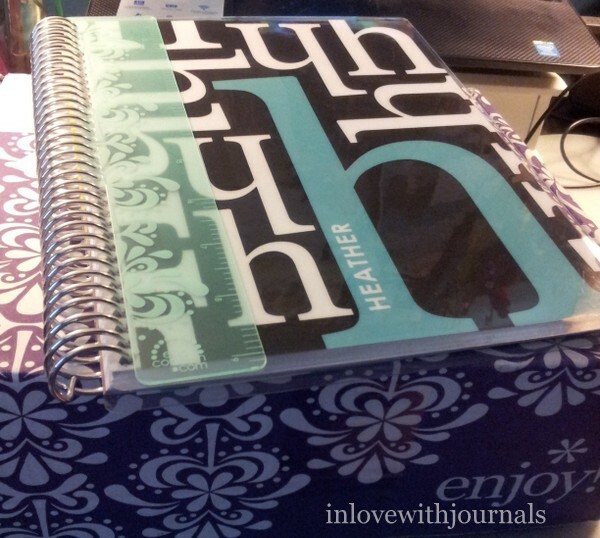 The Firma-Flex Journal Notebooks in A5 are $14.50 US. So that put me in the free shipping zone! With some of my latest World Mail Panel Survey money to spend I finally felt the time was right to pull the trigger on this expensive notebook and cover. 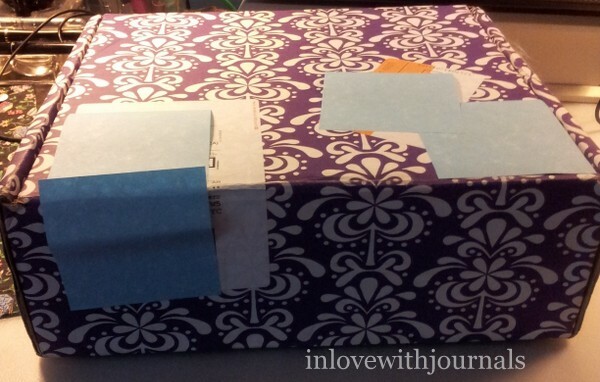 It was thrilling to click the Calculate Shipping button on the site and see it read $0.00! The package arrived a couple of weeks ago. No invoice in the box, no note from the company. Very different from the service experience with Goulet Pens or WonderPens. 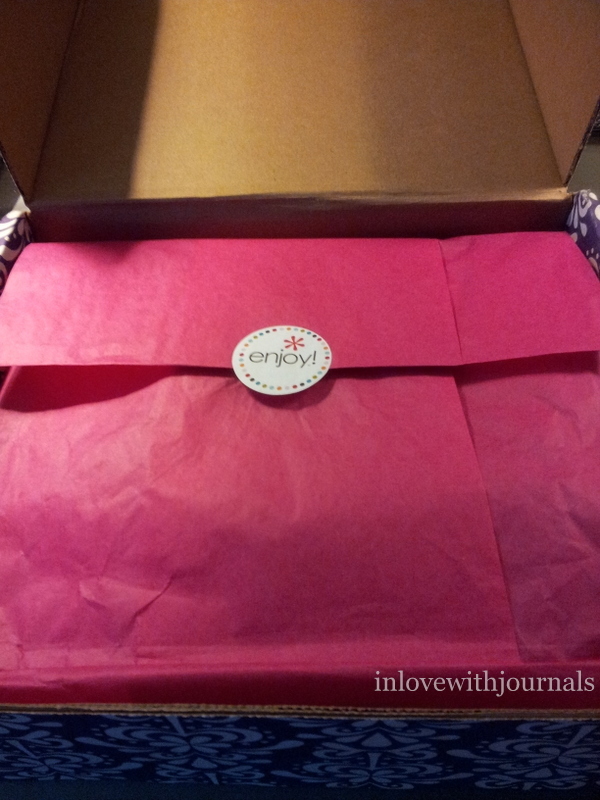 But super fast shipping and excellent packaging. 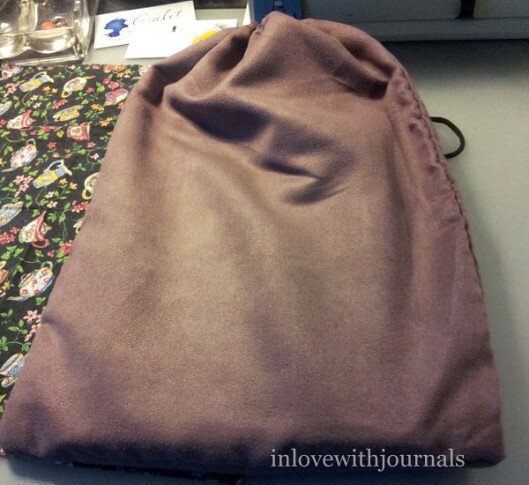 The notebook arrived in its own suede bag. Fancy! And here it is. The Franklin-Christoph Celtic logo is embossed on the front. The leather smells really good and feels butter soft. The workmanship is superb. Franklin-Christoph’s Saddleboot Leather is vegetable tanned and comes in maroon, black and brown. I chose the brown and it has a cream contrasting stitching. A second Franklin-Christoph logo on the back. There is a pocket on the back as well. 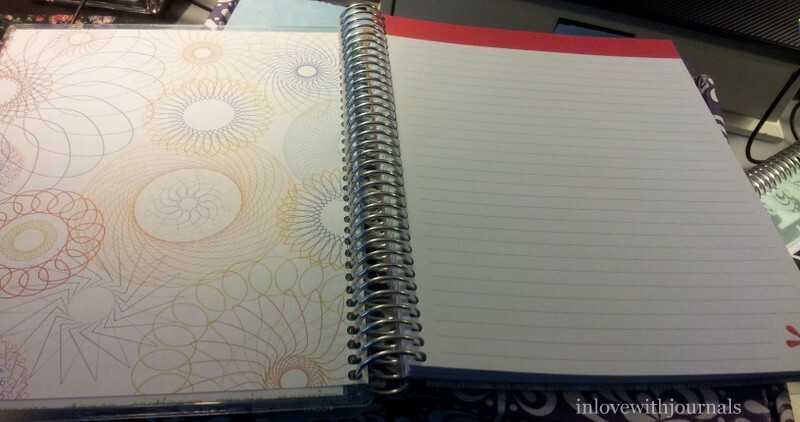 Here is the inside of the notebook and the cover. I apologize for the blurry picture; I didn’t notice until after editing. The notebooks themselves are a work of art. Each type of notebook is indicated by the colour of stitching: ruled is maroon, graph is olive green, dots is purple, and blank is grey. I wanted ruled so the stitching is maroon. 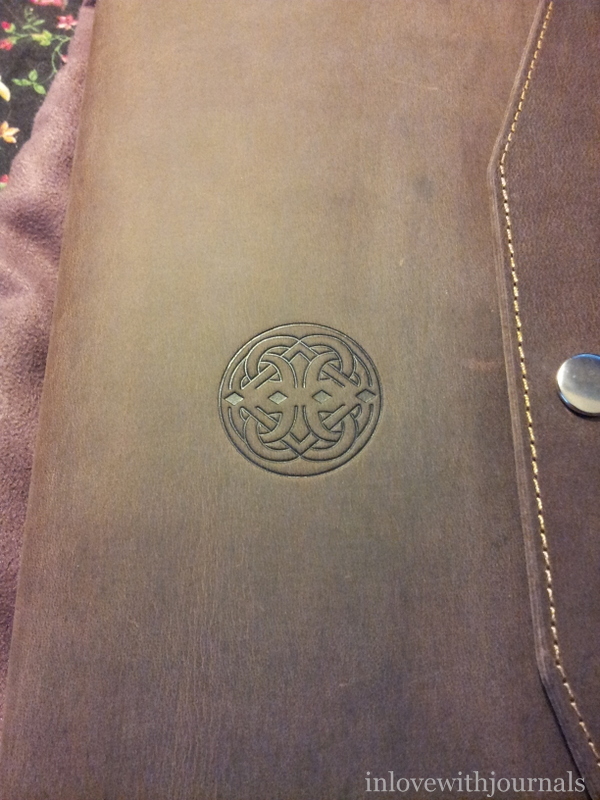 The Celtic logo is on the front and that circular indentation on the right of the logo is the metal closure button on the cover. 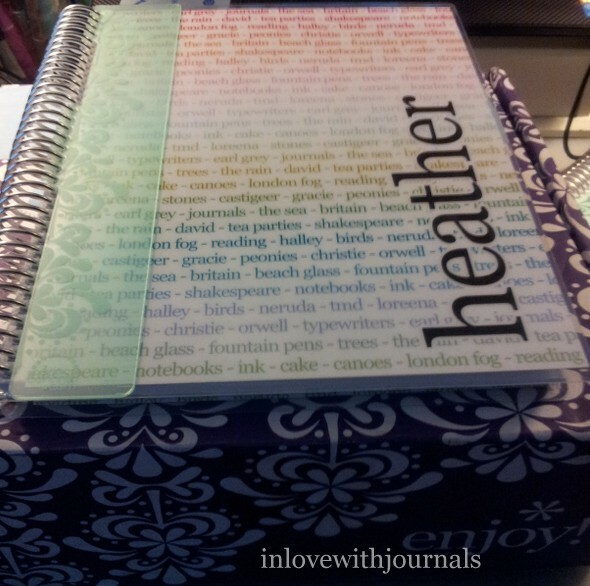 And as expected the notebook fits perfectly into the cover. 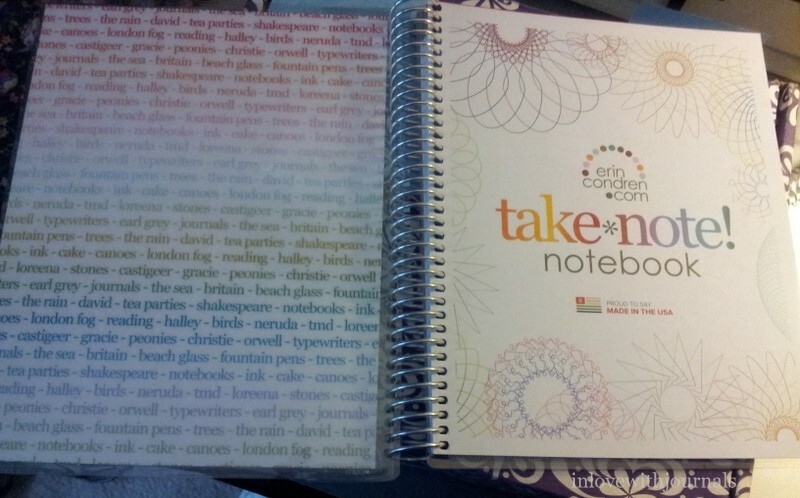 Each notebook has 192 pages. The ruled lines are 7mm apart on the A4 and A5, and 5mm apart on the A6. Ruled, graph and dots are 30% black (light grey) with top and bottom margin lines in maroon. Above you can see the ruling and the black nylon page marker. The paper is 90gsm and made from sugar cane extract. It is pH neutral and acid free. In certain lights the paper seems to have a purple glow. I can see it but I don’t think it’s coming through in the photos. I did a quick pen test on the back page of the notebook. The paper took fountain pen ink beautifully, as well as gel ink, with the exception of the Pilot Varsity, which showed some feathering. Here’s a closeup and you can see the feathering for the Pilot Varsity. As for show through, only the Pilot Varsity and of course the Sharpie marker were visible on the underside of the paper. The paper was very absorbent and smooth. I really enjoyed using the fountain pens on it. 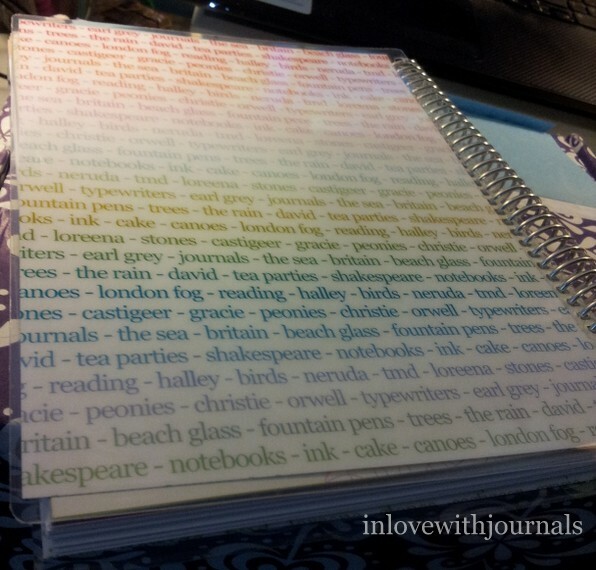 I was curious to see if the Seven Seas Writer notebook would fit, and it did! Not as perfectly as the Franklin-Christoph Firma-Flex but pretty close. 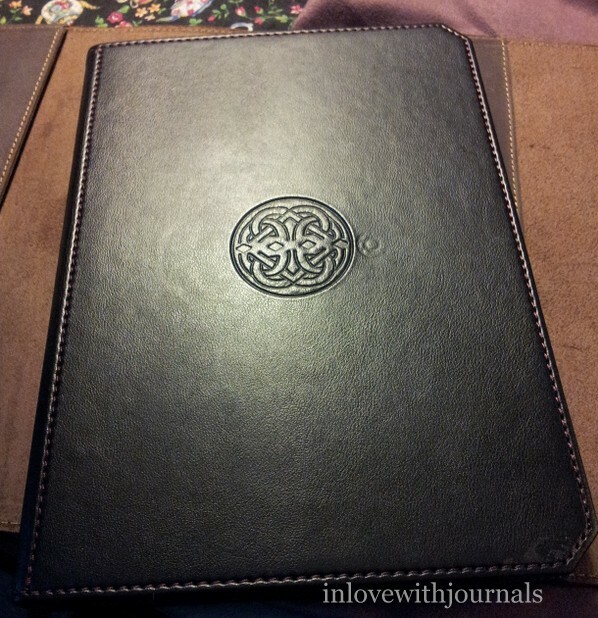 Not that I don’t love the brown vinyl notebook cover that I purchased for the Seven Seas Writer, but there is really no comparison with this beautiful leather cover. 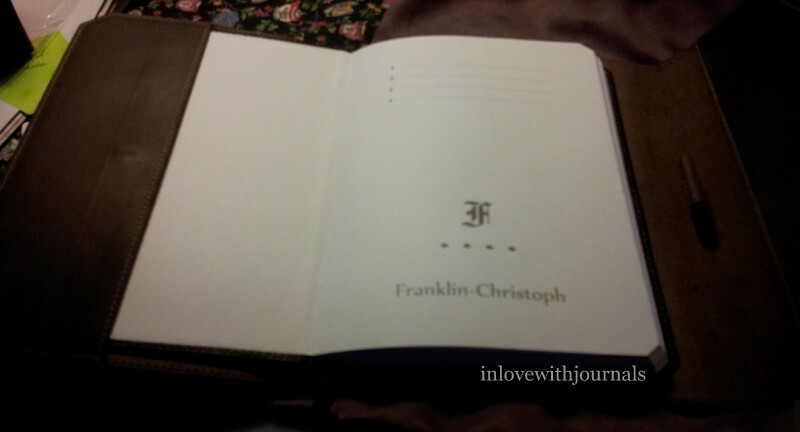 Franklin-Christoph notebooks are certainly more consistently available than the Seven Seas Writer. And last but not least we come to the pen loop. 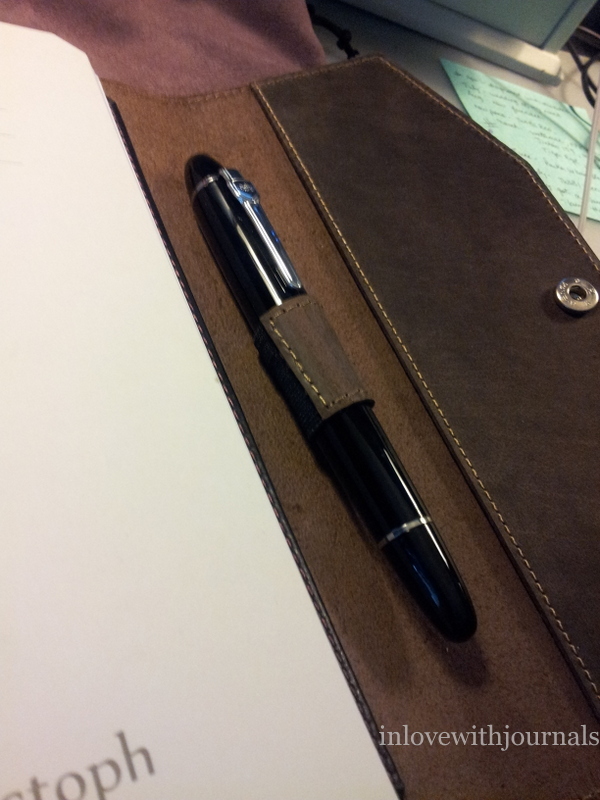 It is leather but has an elastic piece on the left which allows for different pen sizes. My Jinhao 159 is the widest pen I own and it fit very nicely. The attention to detail for this cover and notebook is impressive. I can wholeheartedly recommend Franklin-Christoph and this notebook/cover combination. I think their shipping rates are great and the quality of their products is well worth the price. I can only imagine how delightful their pens, inks and other leather accessories would be. 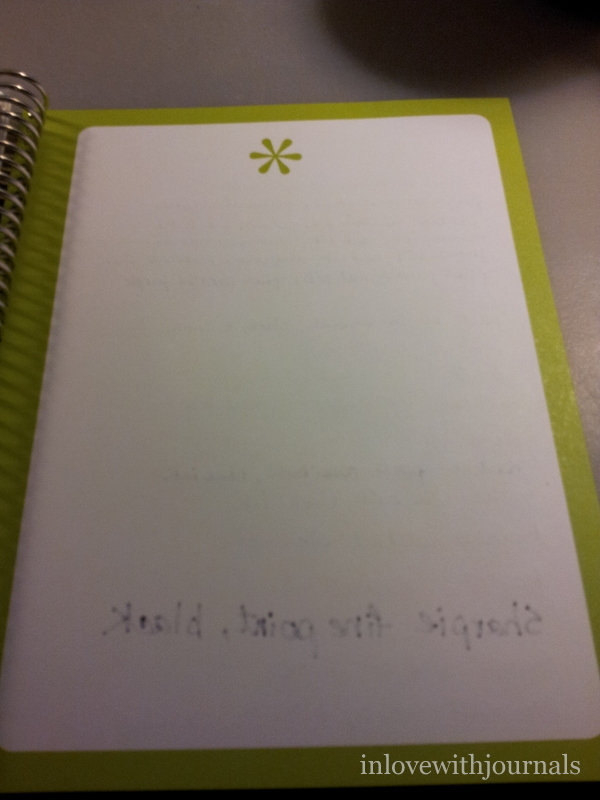 I don’t know when this notebook will go into the rotation as I don’t want to write in it (besides the pen test). But it will probably be next in line because I find myself taking it out of its suede bag and just looking at it. I’ve been hearing lots of good things about the Jinhao 159, from folks talking on Youtube and the FP Geeks forum, to Brian Goulet’s video about this inexpensive Chinese pen. Goulet Pens offers them in Black, Orange and Yellow, for $12.50. I had previously purchased a Jinhao X450 on ebay in June of last year, and it was ok. So I bought this 159 for around $5 including shipping on ebay. It took a long time to arrive – nearly 6 weeks – and I was beginning to lose hope. 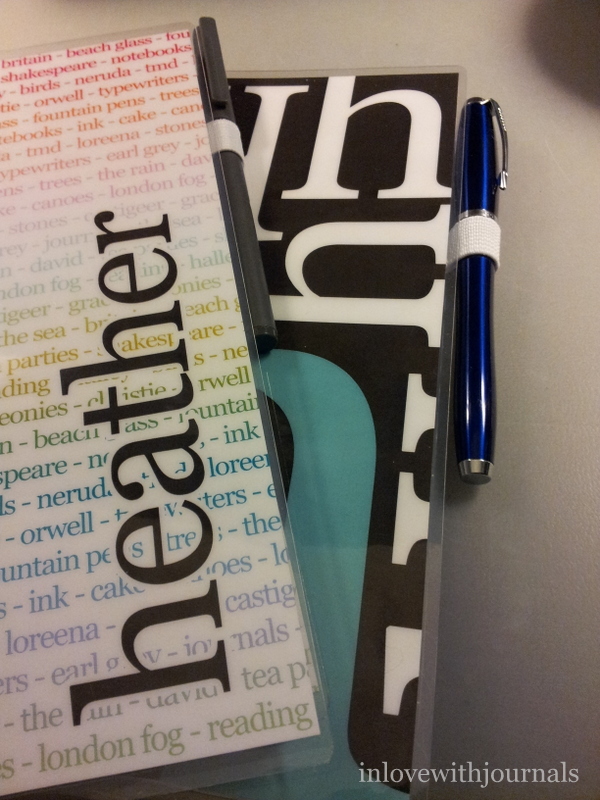 I really enjoy using this pen, although not for long periods, which I will discuss later. And in doing the research for this blog post I realized I didn’t do an actual review of the Jinhao X450 so I will compare the two pens in this post. Here is the 159. Of course one is put in mind of a Montblanc 159 and it is definitely an homage to that iconic pen. It’s not an exact knockoff though as it has Jinhao on the silver band on the cap, and no white star on the top of the cap. I have never held a Montblanc so I have no idea if it’s close in the feel or not but it certainly looks like one. The pen takes international cartridges (short and long) and comes with a converter. I always prefer the performance I get out of a pen using a converter and this pen is no exception. The pen weighs 50 grams and believe me you can feel it. It’s an extremely big pen and I would not recommend it for long writing sessions. My hand got tired after writing for about five minutes. But I love the look of it and the weight of it, to be honest. When posted the pen feels perfectly balanced. The nib is smooth and the flow is super wet. I put J. Herbin’s Bleu Pervenche in it and it’s a gorgeous combination. Here’s a closeup of the nib. It says Jinhao but also 18K. Brian Goulet explains in his video that the nibs are all stamped 18K but only some of them are gold plated (the two tone ones). The nibs on the 159 are stainless steel. Here’s a writing sample. A great writer but I found after just one page my thumbnail was digging into my index finger. It just wasn’t super comfortable. This made me think of my X450 and I wondered how the writing experience compared. 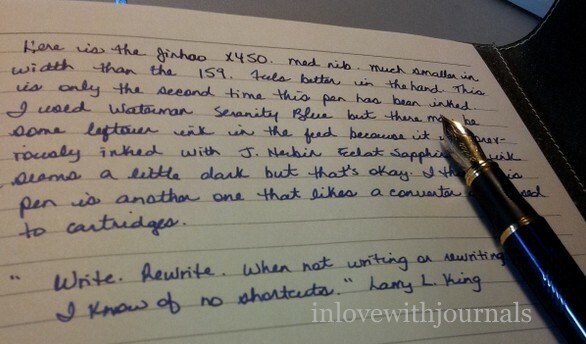 In June 2014 I bought the Jinhao X450 on ebay. 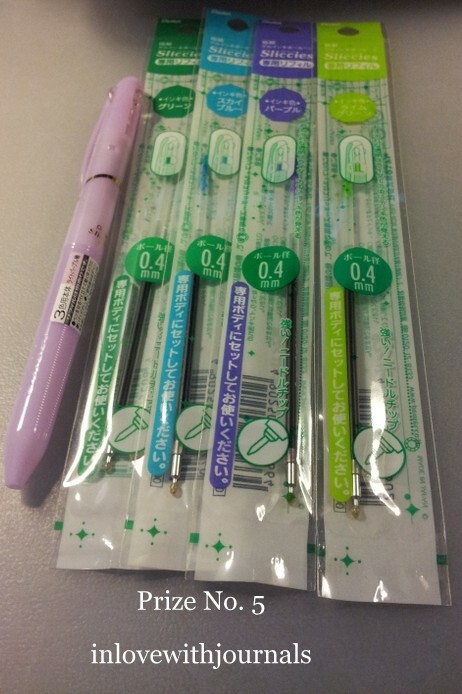 I can’t remember how much I paid but currently these pens are available on ebay for just over $5. And I think it’s good value for the money, for both the X450 and the 159. The pen is a rich royal blue with gold coloured accents. And the nib is a beautiful two-tone. I don’t see 18K anywhere so it may not be gold plated. 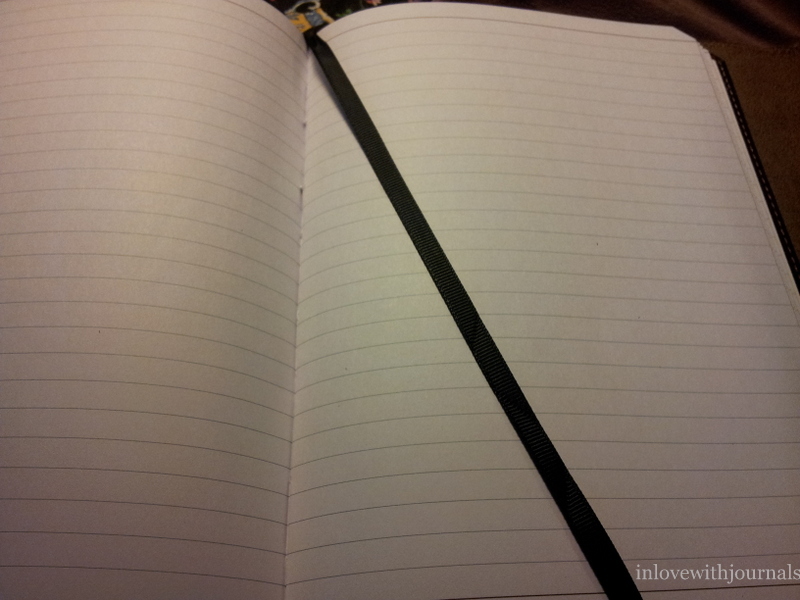 It’s lovely to look at and great to write with. This pen is much smaller in girth than the 159 and notice the grooves on the indented section. Those grooves really enhance the writing experience for me. When I first got this pen I put a J. Herbin Eclat Sapphir cartridge in it and I wasn’t pleased with the results at all. Perhaps the cartridge was old or something but the pen skipped and went dry almost immediately. For this post I put a standard converter with Waterman’s Serenity Blue in it and the writing experience has been the exact opposite: great flow with smooth writing. A good writer indeed. I wanted to show you the caps and bands because the pens don’t even look like they come from the same manufacturer. The X450’s band has a written Jinhao while the 159 is printed. The clips are not the same size, nor do they have the same design. The 159 sports a chariot driven by two men brandishing a whip while the X450 has three simple dots. The X450 has a snap cap and the 159 is a screw top. Interesting pens that’s for sure. And finally a size comparison. 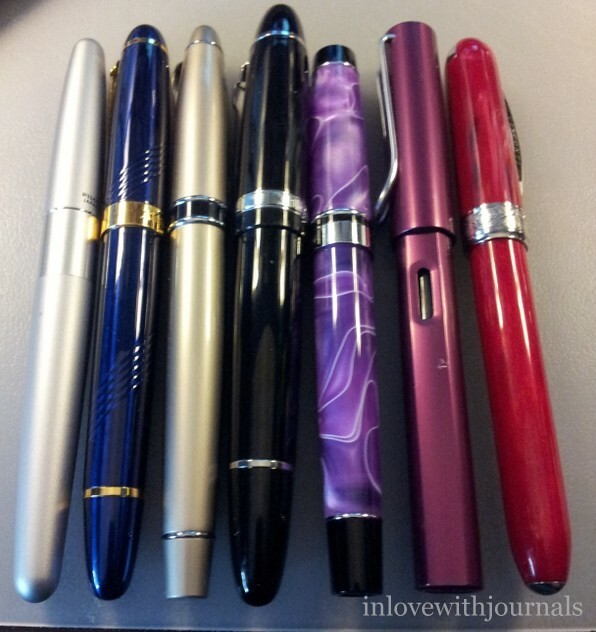 From left: Pilot Metropolitan, Jinhao X450, Cadence, Jinhao 159, Monteverde Prima in Purple Swirl, Lamy Al-Star and Visconti Rembrandt. The 159 is the biggest and heaviest pen I own. 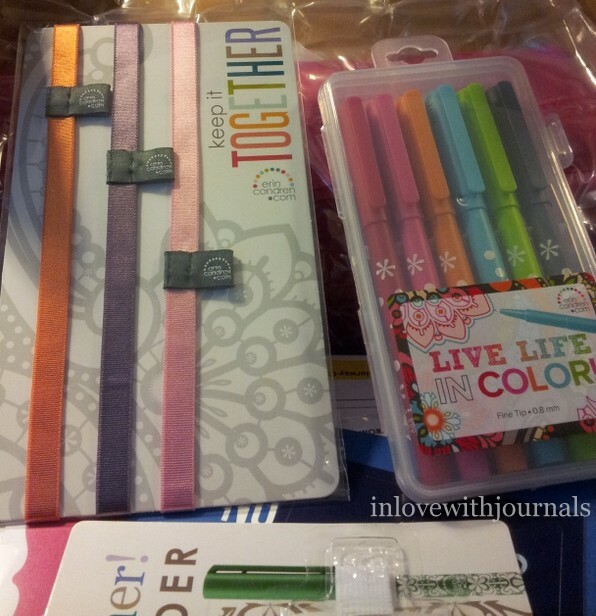 Thank goodness it’s fun to write with. 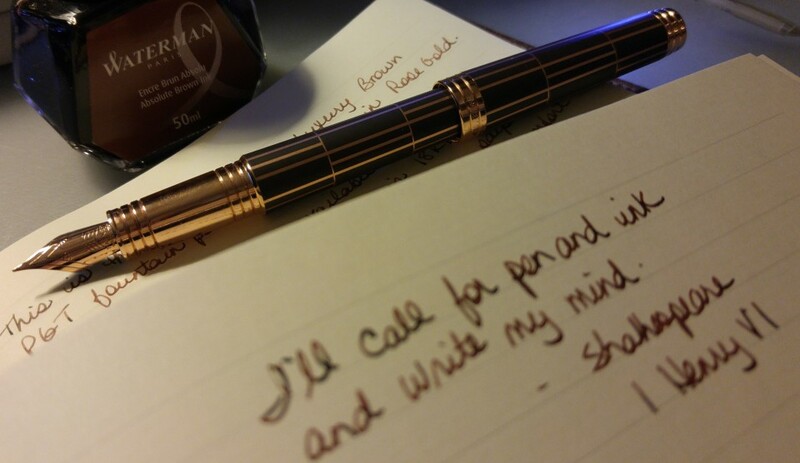 I wrote a post about my Monteverde Prima Tiger Eye in this post. 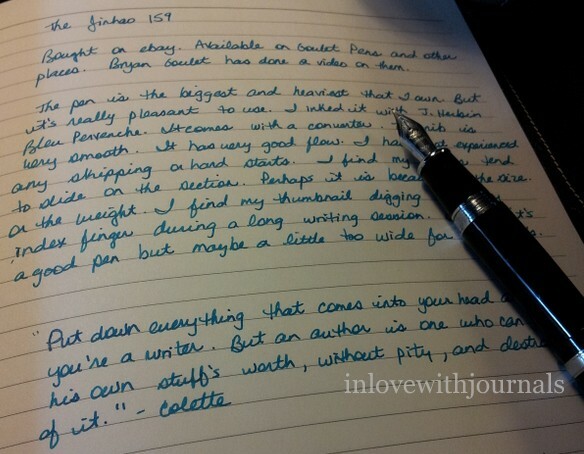 This Sunday I plan to write about my Jinhao 159, recently purchased on ebay. And earlier this week the second pen I bought from an FP Geeks member arrived. 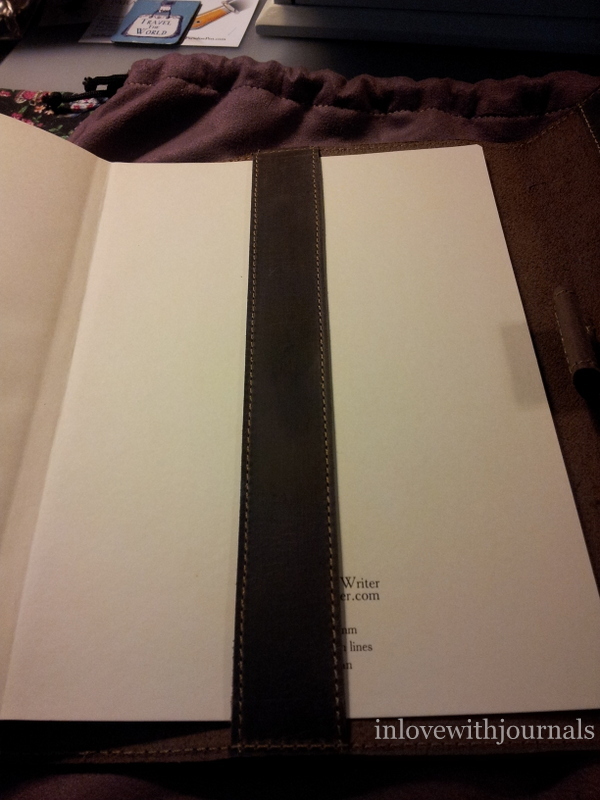 I bought a new notebook this week: another Winnable Leather Journal. 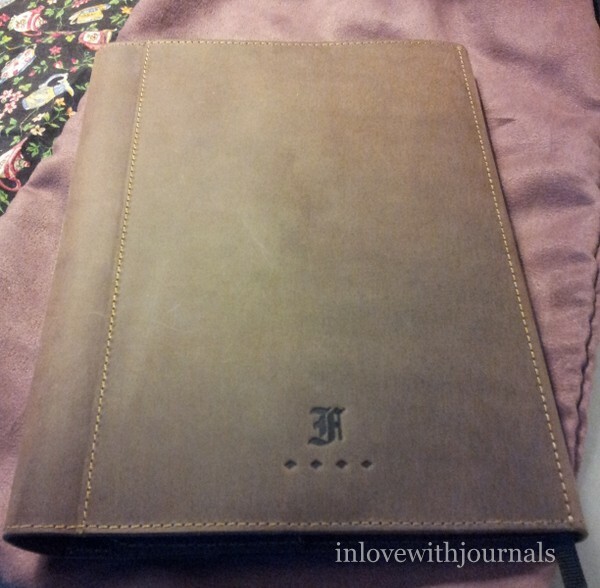 I am very close to finishing my first one and I realize it is unlike any other journal I own currently. 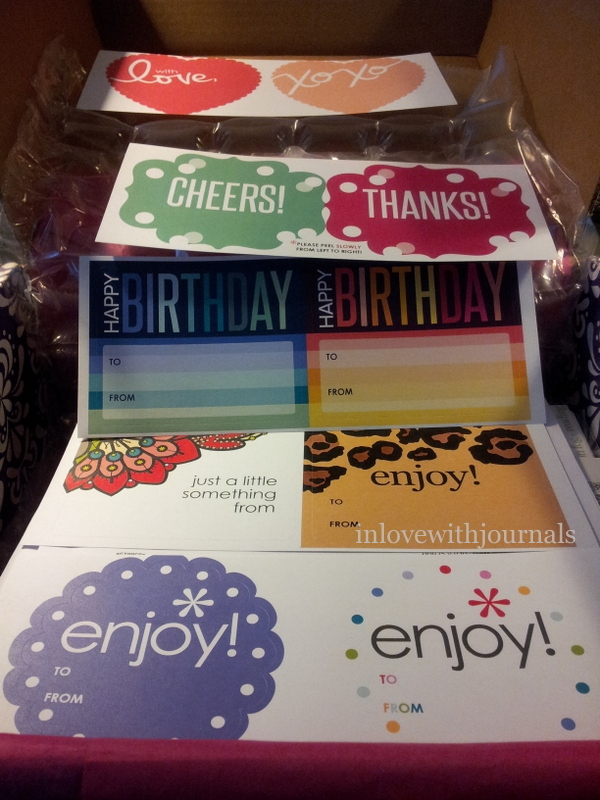 Its design is uniquely perfect for ephemera and pictures I like to paste in my journal. I’m sorry to say I’ve given up on my ONLINE pen. It just won’t behave. Next week I will choose another one, thankfully. I finally got my Monteverde Prima in Green Swirl working and I’ve been using it every day. Love that pen. I forgot to write about this at the time but I spent an amazing evening with my sister and my niece’s future mother-in-law, organizing a bridal shower. There was a lot of love in the room and we had a ball deciding how we would celebrate our beautiful girl and the fact that she’s getting married. Can’t wait! Spent a great afternoon with my sister, stationery shopping and drinking tea. Bliss! Had a fantastic long-weekend bbq with friends, which included lots of food, sunshine and a poker game, which I have not played in a very long time. I had no pain and lots of fun. Love you all.